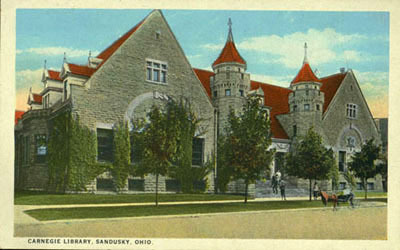 In the historical postcard collection of the Sandusky Library Archives Research Center are several postcards of Sandusky from years gone by. The first three postcards are from the early part of the twentieth century. 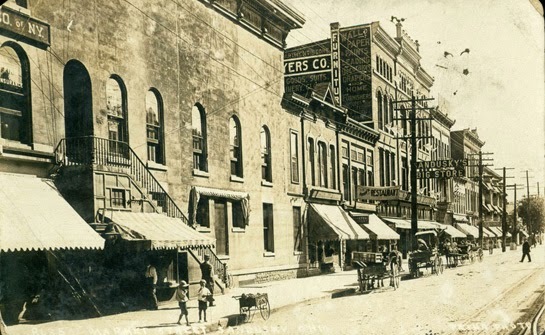 This “bird’s eye” view of Columbus Avenue was created by the Alexander Manufacturing Company. 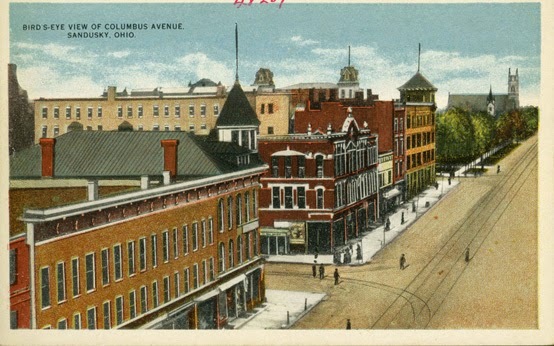 The view in this postcard scans the eastern side of Columbus Avenue from the Cooke block to Saints Peter and Paul Catholic Church. This black and white postcard from the Pesha Postcard Company, owned by Louis James Pesha, also features Columbus Avenue. Several people can be seen along the busy business district of Sandusky’s downtown. 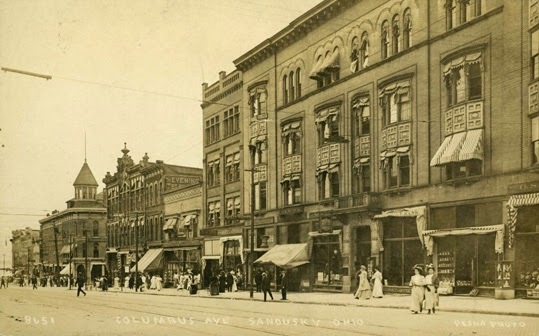 In this postcard, taken on East Market Street, looking east from the Cooke building, Sandusky’s Big Store was a key business in this section of town. Several horse drawn vehicles are visible along Market Street, as well as two youngsters standing near a cart. 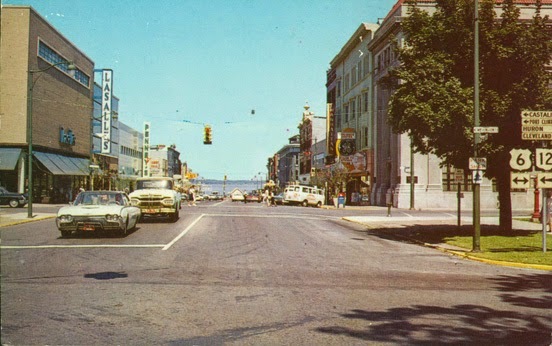 Moving forward several decades, this postcard from the Rich Holt Company shows Sandusky’s downtown in the late 1960s. Stores that were well known to many area residents are pictured, including Lasalle’s, J.C. Penney, the Gray Drug Store, and the Manhattan men’s clothing store. Love this postcard of late 1960's downtown. Just like I remember it! thank you!